What a cutie. 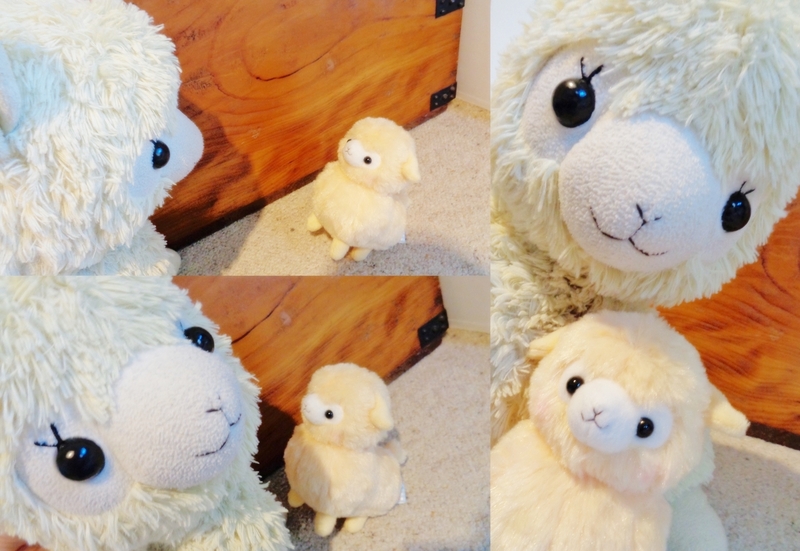 I thought it was about time I got a buddy for SugarCube thus I ordered this little alpaca. 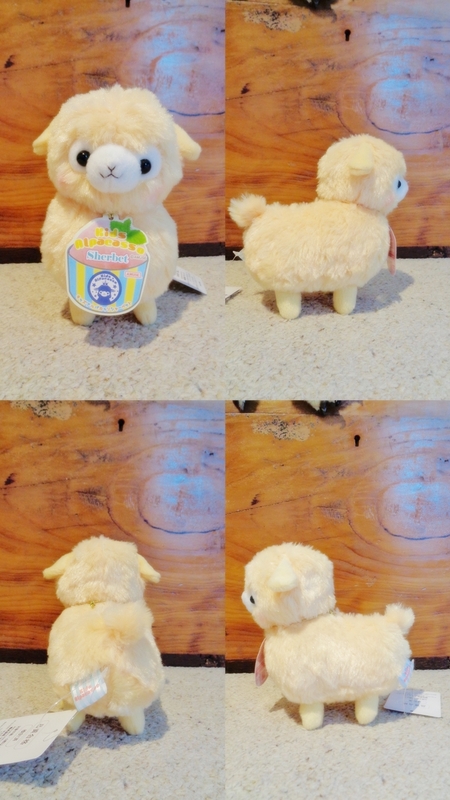 This small Alpacasso is from the Kids range and a series called Sherbet. First up I was kind of disappointed as I was scouting around for this one on pre-order and by the looks of it on Amiami it appeared to be the same one offered on OtakuMode and as I wanted to save on shipping I went with the former. However when she arrived I was sad to see that although they were the same price the Amiami was a smaller sized version. In spite of this she is still super cute and super soft. 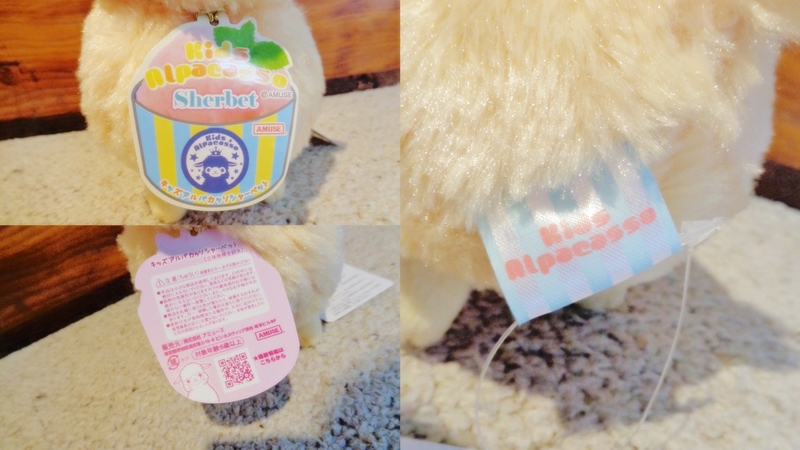 I love her neck tag design and I like how her fabric one says Kids Alpacasso. Despite the disappointment in size I am quite happy with the little one and SugarCube is delighted to have a baby alpaca to care for. Aren't they adorable together. And although technically the name of this alpaca is Orange-chan I've decided to call her Sherbet because that's much cuter.